The national non-profit will also hold a charity event in March. A national non-profit is focusing its efforts on women that stream on Twitch. 1,000 Dreams Fund is a non-profit organization that awards micro-grants to young women across the United States. 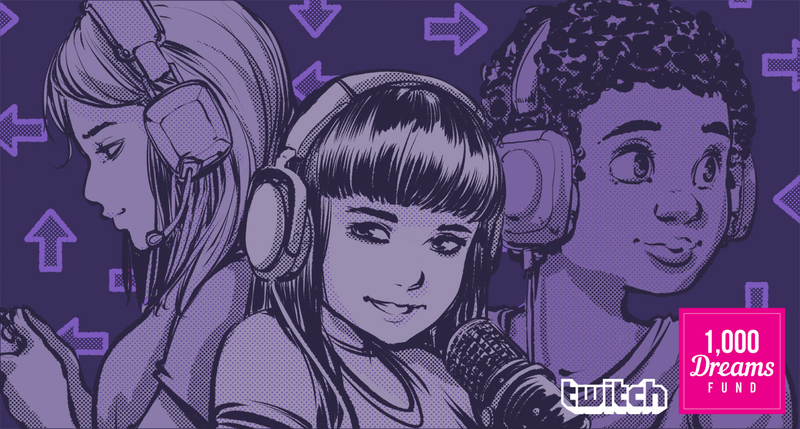 For Women’s History Month, which starts in March, the organization is launching a program called Streams for Dreams that aims to lift up “underserved female content creators” on Twitch. Streams for Dreams kicks off on March 1 and continues until midnight on April 1. Ten female streamers—including Friskk, Gillyweedtv and theluckmusic—will participate in the fundraising drive. 1,000 Dreams Fund will also offer a grant, 1,000 Dreams Fund’s Twitch BroadcastHER Grant, that was created to help women turn streaming into a career. All money raised during the Streams for Dreams event will go back to women through the BroadcastHER Grant. Grants will range from $500 to $2,000 and will be awarded to at least four streamers. “The event will elevate the importance of greater gender equity during Women’s History Month and is a wonderful opportunity for members of the Twitch community to engage with this issue, while giving back through 1,000 Dreams Fund’s Twitch BroadcastHER grant,” Twitch charity director Andrew Schroeder said in a statement. More streamers participating in the event are expected to be announced soon.